Discover Burlington Ontario: Celebrate Mother's Day in Burlington! Celebrate Mother's Day in Burlington! She’s the one who kissed our boo-boos away, lends an ear and is there for us through thick and thin – thanks MOM! With only a week until Mother’s Day you still have time to plan the perfect celebration for your mom, grandmother or other special lady in your life. From events to brunch to gift ideas, Tourism Burlington is here to help. If you are looking for a special event to share with your mom consider heading to Ireland House at Oakridge Farm for their Queen’s Jubilee Mother’s Day Royal Tea. This celebration to honour the Queen’s 60th Jubilee includes live entertainment, tea workshops, horse & carriage rides, gardening demonstrations, hands-on activities, a visit from “the Queen” and tea parties (1:00pm, 2:30pm & 4:00pm). Tickets for the tea party are sold in advance. What a great way to enjoy this special day at this historic site. For mom’s that prefer something a bit more outdoorsy, plan to visit Crawford Lake for their wildflower walks for mom. This guided walk through the park woodlands begins with a spring slideshow then you head outside where a guide will accompany you and explain the natural and cultural history of the area wildflowers. Post walk, mom can relax with a serving of Nature’s Tea. For mom’s that like a bit of entertainment, the Halton Region Museum celebrates mother’s day with their spring jazz series featuring the George Grosman Quartet. Spend the afternoon enjoying the sounds of this outstanding jazz quartet and noshing on some light appetizers. Tickets should be purchased in advance as a limited number will be available at the door. The best gift “fore” mom. On May 12th and 13th at Hidden Lake Golf and Lowville bring your mom out for a round of golf and she plays free when accompanied by a full-paying green fee and purchase of a power cart. Consider adding brunch at Lowville to your day out only $12.95 per person from 9am-1pm. For the sweetest mom consider spending the day exploring the Burlington Chocolate Trail. This self guided trail of all things chocolate includes 5 chocolatiers making amazing creations; five restaurants featuring decadent desserts; six artisan food producers with a wide variety of chocolate treats and two spas where you can relax with a chocolate treatment. When is brunch not just brunch - when you head to the Royal Botanical Gardens for their Mother’s Day brunch. Enjoy entertainment and spectacular food prepared at the Gardens Café. Your package includes shuttle service to the garden areas where mom can view the Tulip and Lilac blooms. Reservations are required. Martini House; Mom’s meal is on us, restrictions apply. One Mom per table of four. If you are looking for the perfect mother’s day gift we have some suggestions to fit every budget. Flowers are always nice and chocolates (check out our chocolate trail vendors) are a guaranteed hit. For those looking for something more unique consider visiting Art Etc. at the Burlington Art Centre where you can find Canadian handmade items ranging from jewelry to pottery and more. If mom is a gardener, head to the Shop at the Gardens (RBG) for the perfect gift. For the foodie, look no further than Springridge Farm, they carry a wide variety of gourmet goodies and cookbooks, as well as home and garden gifts. 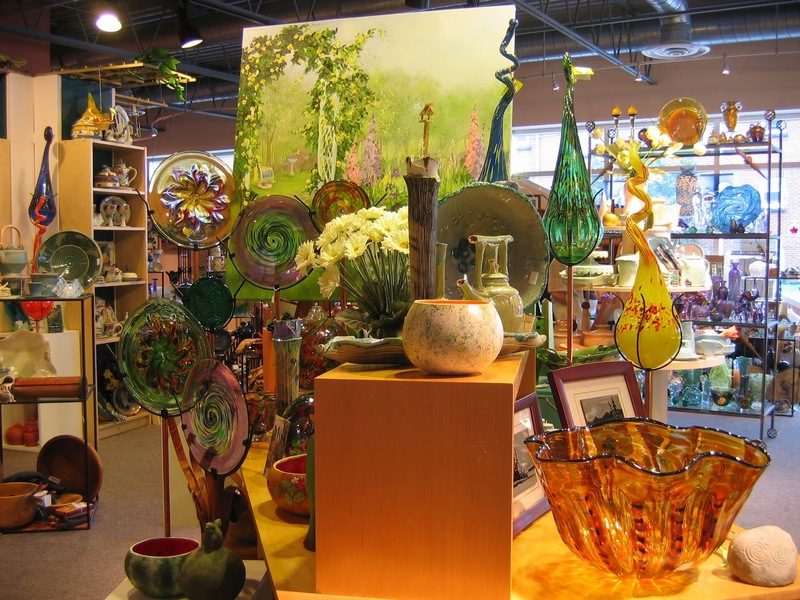 Downtown Burlington is home to many one of a kind shops that are sure to please even the hardest to buy for mom. For fashion, head to Joelle’s, Mirella’s Ladies Boutique, Ohh!! Beautiful Things, Pearl Street Fine Shoes, Promises and Lace and the list goes on! For home décor and gifts think Artist’s Walk in the Village Square, Centro Garden, Fairhome and Stir Kitchen. Visit the Downtown Burlington website for a complete list of retailers. Of course you can always find what you’re looking for at Mapleview Centre or Burlington Mall and if you can’t decide a gift certificate is always appreciated. Of course some moms are happy with a homemade card and gift and we think that is just great too!